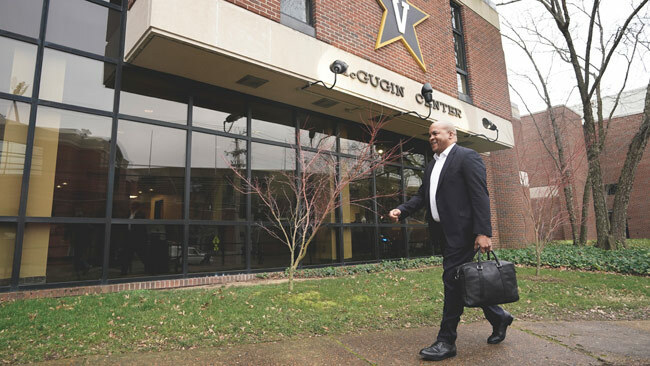 Malcolm Turner began his first official day as Vanderbilt’s new vice chancellor for athletics and university affairs and athletics director today, Feb. 1. 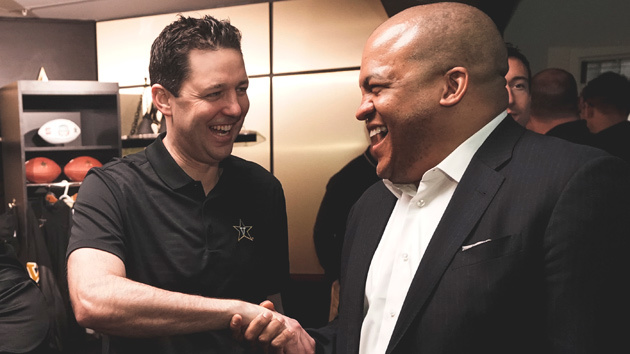 He started the morning with meetings with coaches and athletics staff, and sending a personal email to Vanderbilt Athletics supporters, including former student-athletes. He also posted an open letter to Commodores fans on the Vanderbilt Athletics website. Later today, he plans to meet with student leaders and take in some varsity practices before sitting down for media interviews and meeting student-athletes for dinner. “It’s a very special time to be taking over the program. 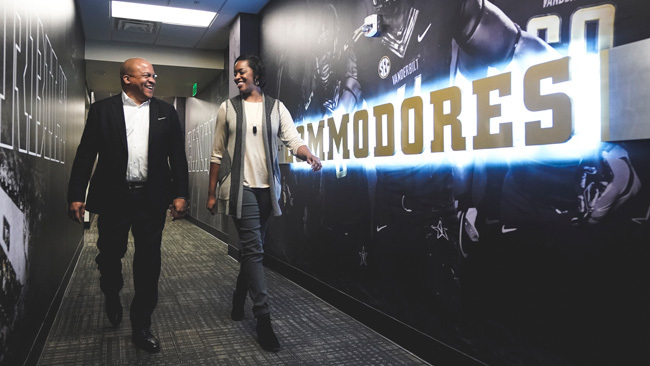 Under the leadership of Chancellor Zeppos and David Williams, Vanderbilt Athletics has become an elite athletics program focused on student success on and off the field,” Turner said. Turner, who has said that he initially will be on a “listening and learning tour,” also has met with members of the university’s Board of Trust. Turner recently wrapped up his previous responsibilities as a member of the NBA’s senior leadership team and president of the NBA G League, which under his leadership experienced unprecedented growth across all areas of its business and basketball operations — from record numbers of NBA G League alumni in the NBA, to a first-of-its-kind expanded entitlement partnership with Gatorade, to innovative new player contract types. After interviewing a number of highly accomplished candidates, Zeppos announced Turner as the university’s AD in December. 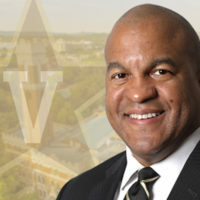 He cited Turner’s experience as a proven sports executive with expertise in management, marketing and development across the professional sports landscape, and his deep and personal commitment to education, as what ultimately made him the right fit to carry on Vanderbilt’s athletics program. 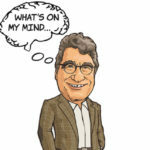 Turner takes over the program from David Williams, who in September 2018 announced his plans to retire from his trailblazing 15-year tenure leading the Commodores and transition full-time to his role as a tenured professor of law at Vanderbilt Law School, a position he has held along with his university leadership responsibilities since he first joined the university faculty in 2000. 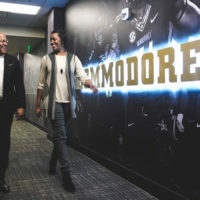 In addition, Williams will continue his focus on the important role sports plays in society by establishing a new Sports, Law and Society Program at Vanderbilt Law School. The university will celebrate Williams’ leadership and legacy at a private event on Feb. 8. Athletics also has produced a video on Williams’ life and career, including his childhood in Detroit and the impact the city and his upbringing had on a kid who would later become Vanderbilt’s first African American vice chancellor and one of only a handful of African American athletics directors in the Power 5 conferences.